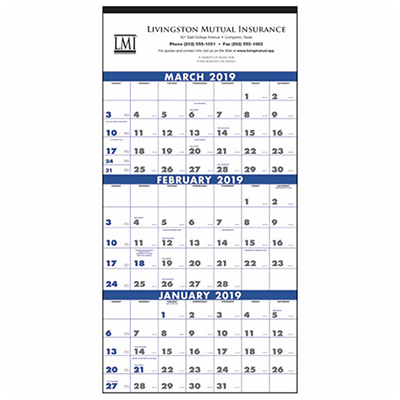 Personalized 3-Month Planner 2019 is an excellent choice for marketing your brand! 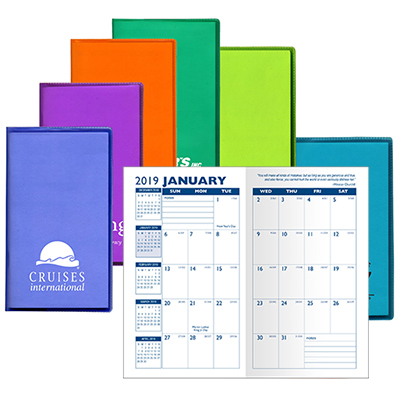 This personalized 3-Month Planner is a great gifting idea for clients and customers who love to plan ahead! It displays not just one but three months per page. 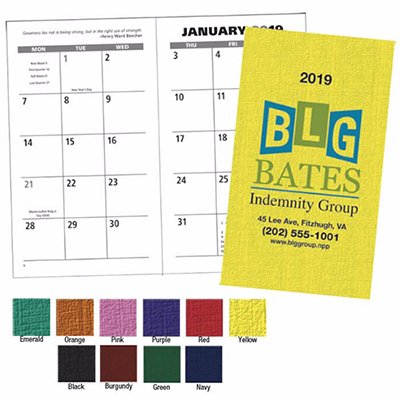 With a large imprint area, these planners will help boost your brand’s visibility throughout the year. 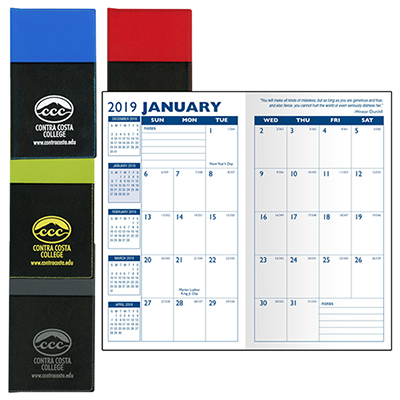 Feature your logo and order this valuable promotional tool today! "We've been using these planners since last year and we just had to order them again." "These planners are pretty good giveaways. " Perfect for setting appointments 3 months in advance!